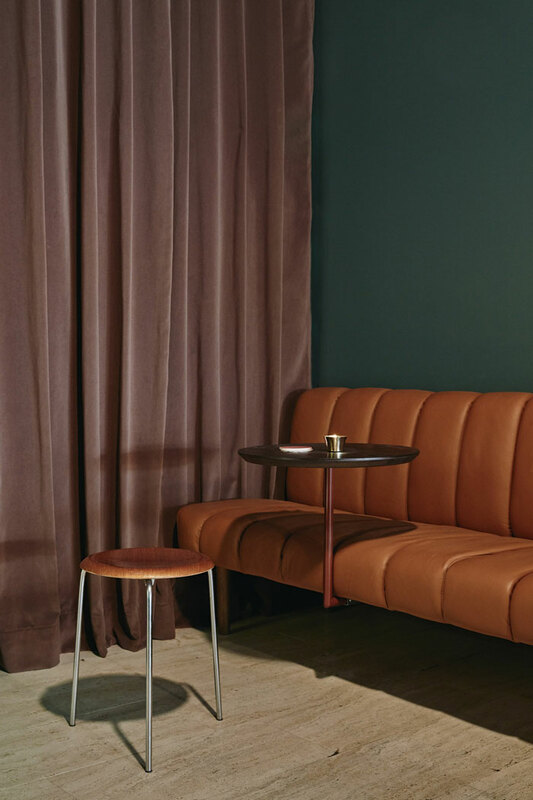 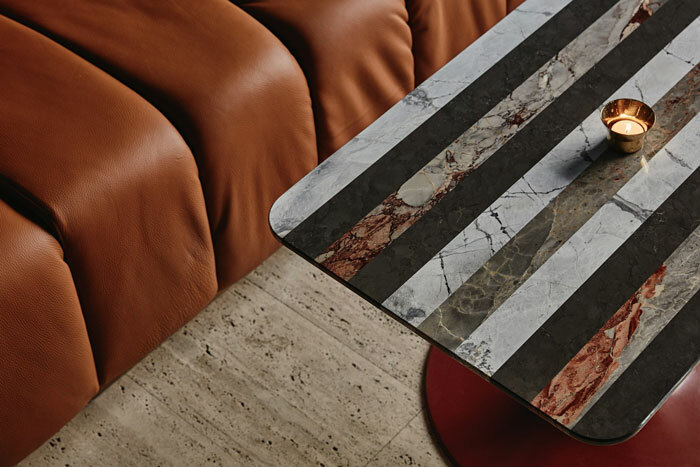 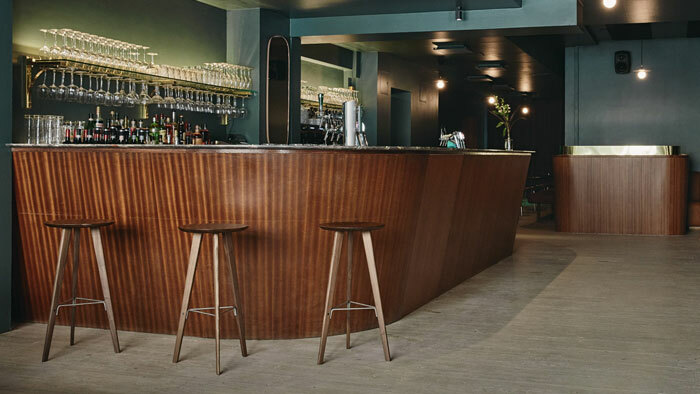 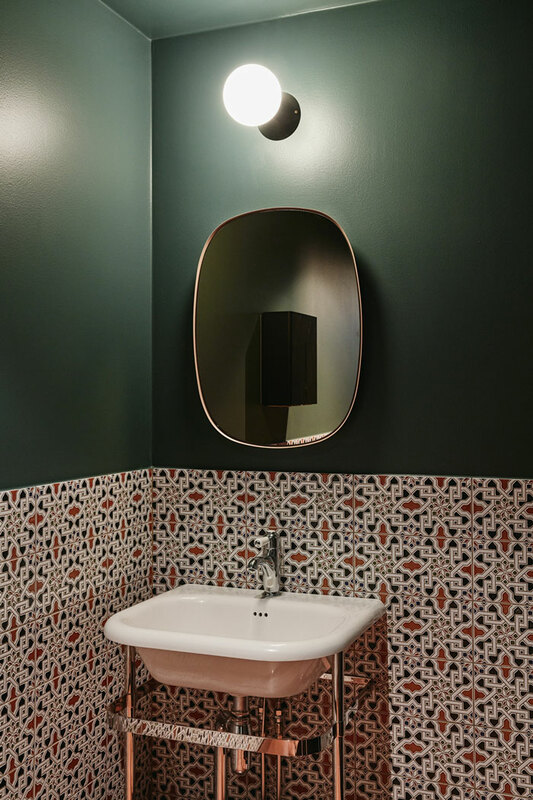 Dark green walls, tan leather upholstery, wood, marble… Designer Joanna Laajisto created a luxurious interior with a nostalgia-tinged style for bar Jackie in Helsinki’s design district. 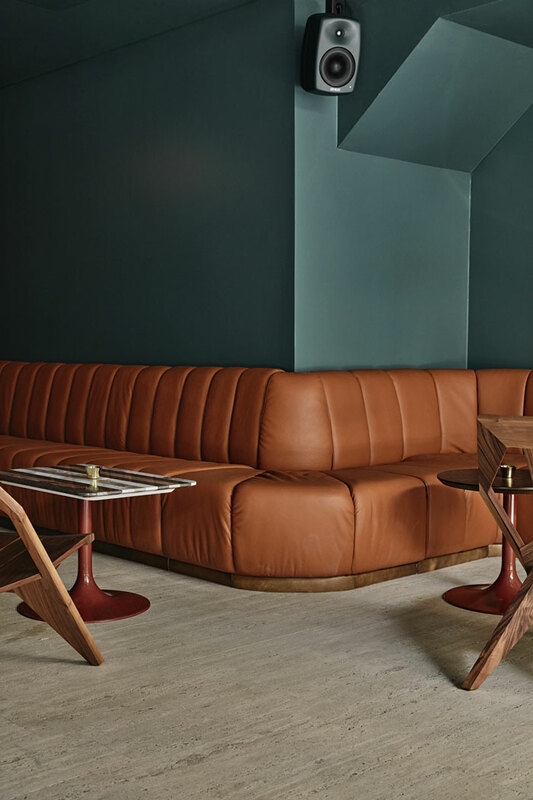 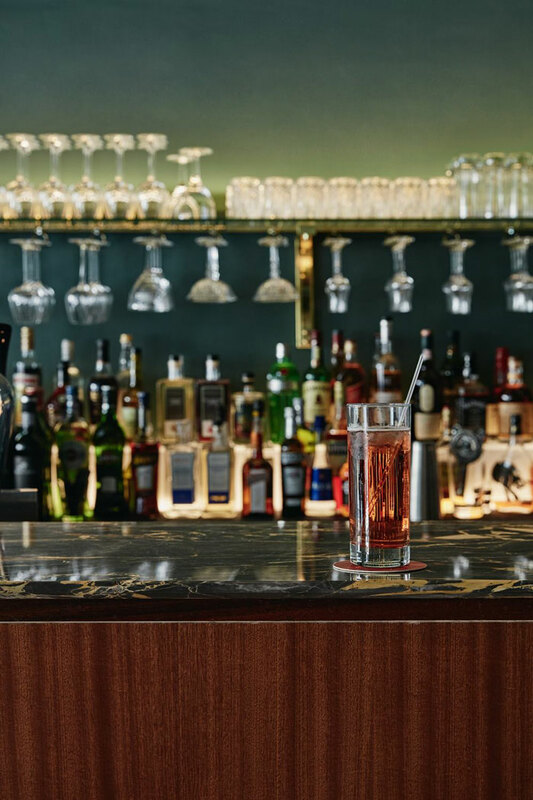 Opened in April 2017, the place was inspired by the look of Milanese clubs and lounge music of the 70s. 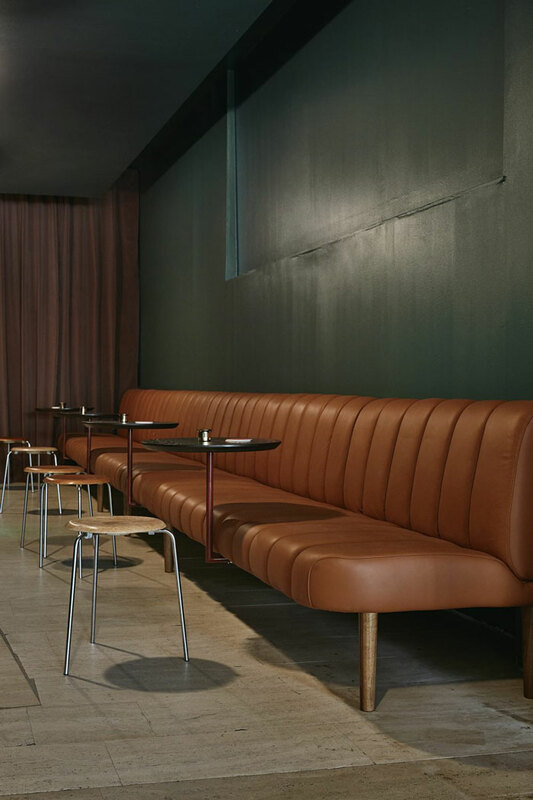 “The Pipistrello table lamp designed by Italian Gae Aulenti in 1965 reinforces the illusion”, said Laajisto. 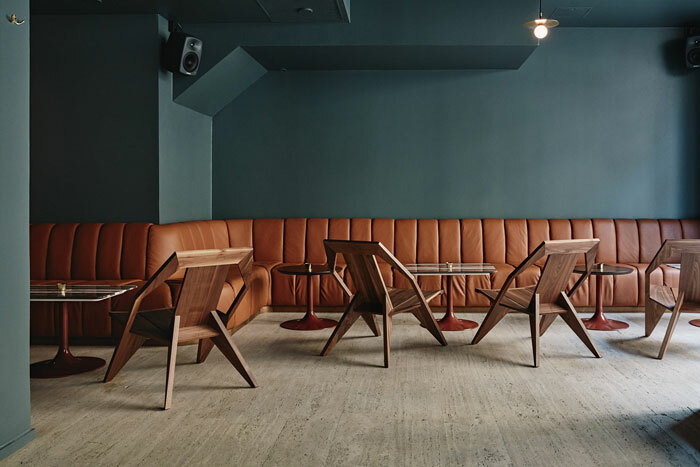 She successfully created the ambience hoped for by the owner, Antti Eerikäinen, who named his establishment after the song Jackie by British baritone Scott Walker. 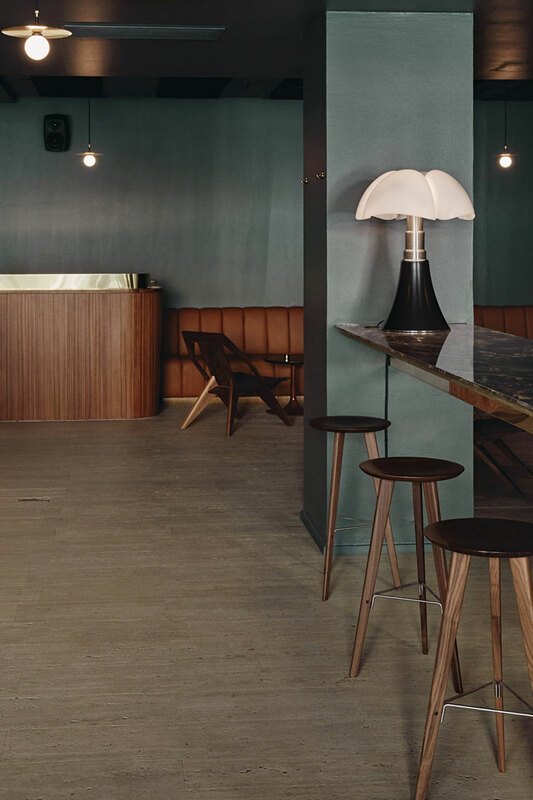 Besides live performances by excellent DJs, Jackie offers delicious North Italian-style pizza slices by chef Antto Melasniemi – A great spot to spend an evening away next time you are in Finland’s capital city!